After having our meal at Joo Hooi Café, it was only about 4:30pm. So, we took a short stroll along Campbell Street and were disappointed that almost all the shop was closed. 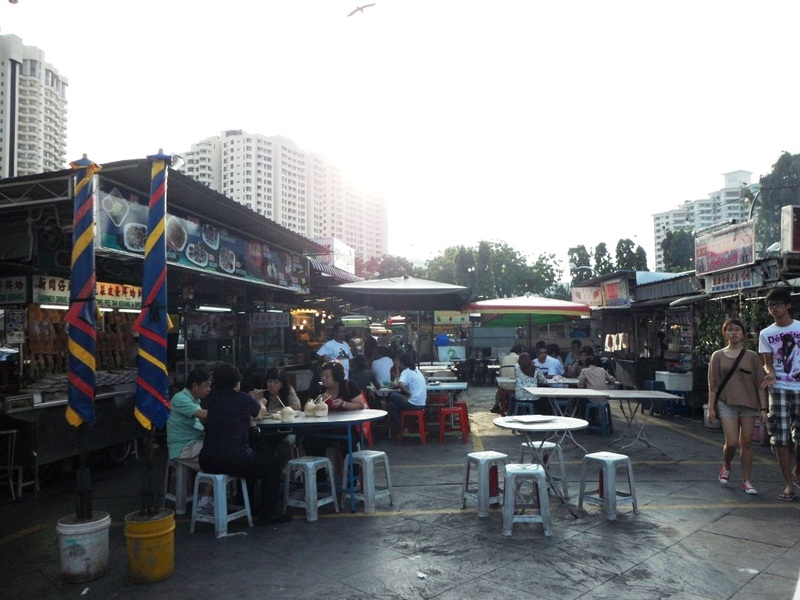 We were trying to hunt for the famous kaya butter toast which was suppose to be at one of the small lane along this road. Unfortunately, they are close on Saturday. Since it was about 5:30pm then, we decided to head down to Anjung Gurney. We manage to find a ‘rockstar’ park thanks to J’s sharp eyes! If you’ve been there, you will understand how hard it is for non-local to find parking here. After settling down on 2 tables, most of us ran off to find food. 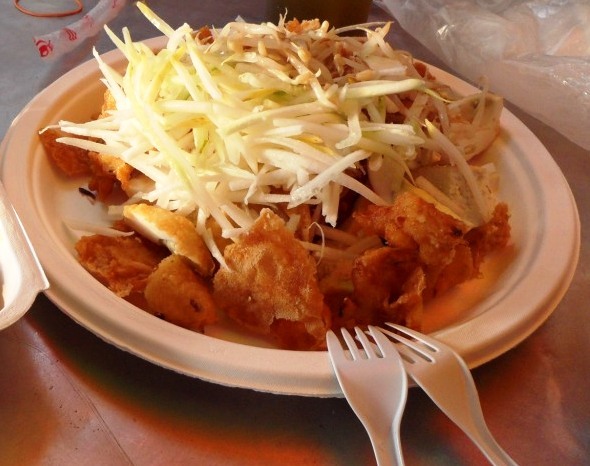 Hub and I return with the ‘famous’ pasembur rojak (this guy sings and dance while he prepare your food to the loud music he has blasting from his stall. Actually the only word I hear is him chanting rojak-rojak most of the time). 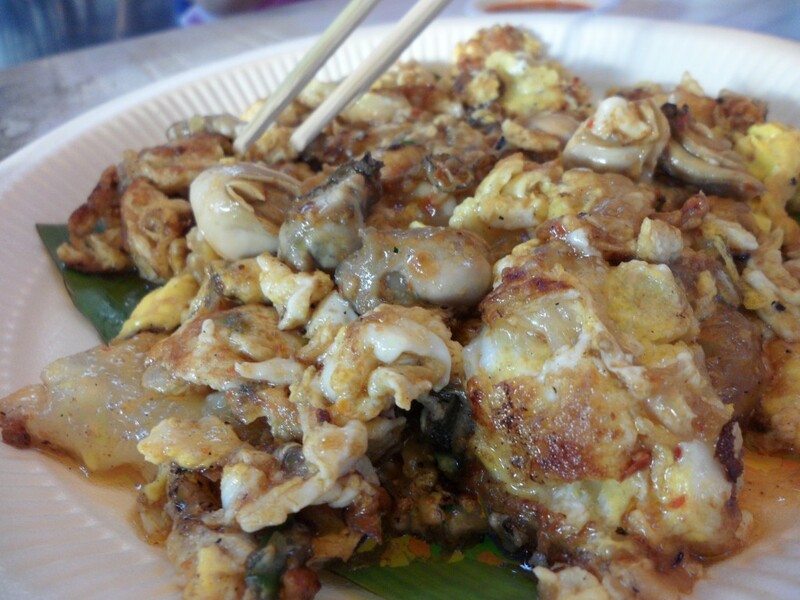 fried oyster omelette (O-chien) – it was ok only. We only found out later the really good one is suppose to be from Stall 84. 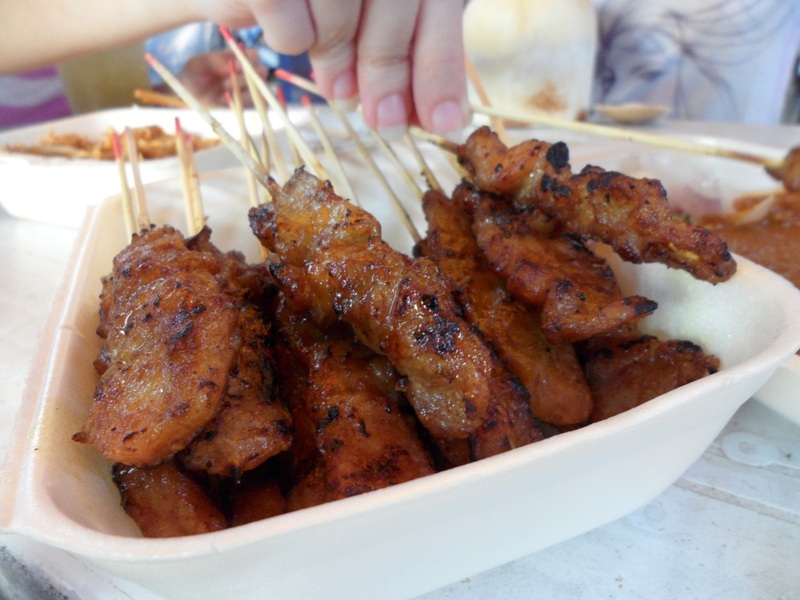 Pork Satay – oo… so yummy. Thumbs up ! 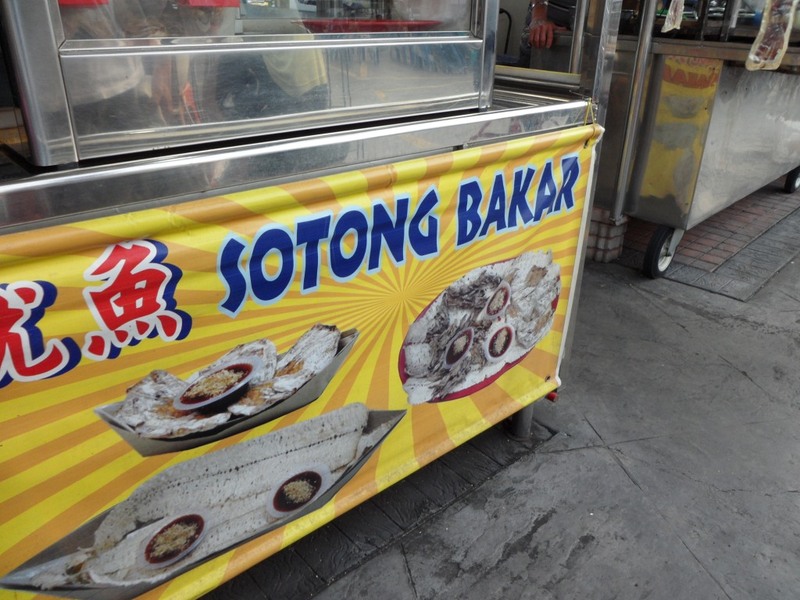 Sotong Bakar – really nice and crispy and pack with the sotong (squid) taste. After our meal, we took a stroll along the sea side. What a nice way to finish a meal.